To enroll into a trial course, click on one of the links located below. 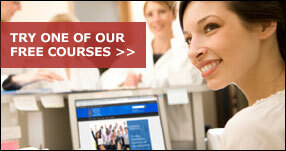 These courses are used to demonstrate how BioPharma Institute’s online learning management system (LMS) works. You can view the course, take the final assessment, and launch the certificate of completion. Once completed, you will also receive an electronic badge which could be displayed on social sites, such as LinkedIn. If you have questions, call or email at your convenience. GMP Documentation and Record Keeping Course. 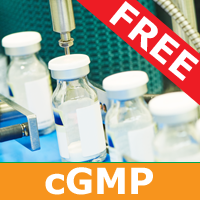 This is an abridged GMP Documentation and Record Keeping course. How well do you and your staff understand the requirements for proper documentation and record keeping to withstand an FDA audit? This course provides an easy to understand overview covering Quality Alert; Need for Documentation; Record Keeping; Case Study. A special offer for the entire course is available at the conclusion. 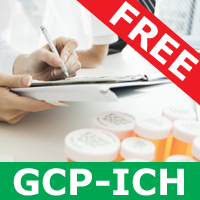 GCP: ICH Good Clinical Practice (ICH-GCP). This is an abridged course. The pharmaceutical industry is undergoing many regulatory changes. Those of us involved in research are directly affected. When carrying out our duties there is a risk of compromising the quality of data we generate and of breaching ethical codes. An understanding of the background and the principles of Good Clinical Practice are critical to ensure ethical research, high quality and credible data are achieved. This online abridged course provides an introduction to ICH GCP. Live, In-person Training: The acquisition of knowledge, skills, and competencies as a result of having a live, in-person instructor is a wonderful way to train employees. However, the cost involved, the inconsistency of formats, and variety of quality among teachers all contribute to the extreme variability in its performance. Many companies spend lots of money providing unsuccessful training to its employees. At the BioPharma Institute we have a pool of live, in-person, instructors with proven experience delivering high-quality and effective training. Computer-based Training: The activity of imparting and acquiring skills through training provided via computer, either offline or through the Internet, allows the trainee to learn at their own pace and review topics more than once through illustrations, reading text, and listening to online seminars. This can be a very effective, time- and cost-efficient, method of training. By incorporating progress checks, problem solving, case studies, and mnemonic learning aids, this form of training can be extremely successful. At the BioPharma Institute we have made computer-based training our expertise. We are proud to offer our SME-developed content and proven experience delivering high-quality and effective computer-based training to pharmaceutical and biotechnology companies around the world. Blended Training: Blended Training incorporates both, Live, In-person Training with supplemented Computer-based training. This method allows for the added assurance that preparation for training has been performed by all learners. Many companies are now resorting to blended training to increase the performance of their training activities. At the BioPharma Institute, we have experience assisting companies with developing and implementing this activity into their delivery.